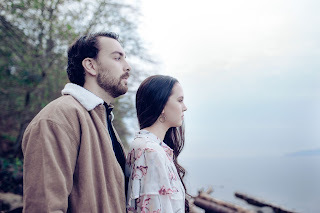 If It's Too Loud...: Porteau - "River Song"
There aren't too many songs written in an Alaskan village about free will versus instinct, but the latest from Porteau fills that gap for us. "River Song" is an absolutely gorgeous and lush folk song. I use the term folk loosely here. It's definitely far too filled out to be purely folk. Instead it's almost a dream pop/folk song. Victoria Williams's voice propels the entire arrangement and gives it a kind of haunting quality during the chorus. During the verses, she has a much warmer and welcoming feel to her voice. She does this without a true change, so "River Song" is truly a singer's track. You can listen to "River Song" below. Water's Gate, the new album from Porteau, will be released on March 15. For more on Porteau, be sure to check out their website.